A man with a history of drunk driving is facing four counts of criminally negligent homicide and a civil lawsuit after causing an accident that led to four deaths. Benjamin Ledwell was driving a 2011 Ford F-250 on May 19, 2015 when he crossed the center line and struck a 2006 Chevrolet Uplander head on. 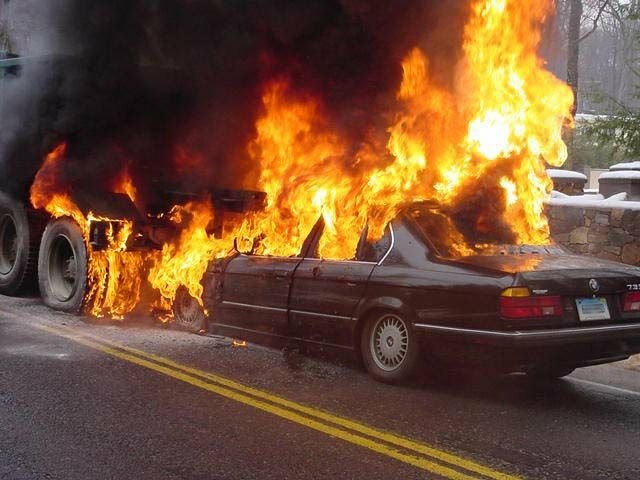 The Chevrolet was consumed by flames immediately after the wreck. Four occupants of the Chevrolet died. Attorney for the family quickly filed a lawsuit against Ledwell for his negligence and allegedly driving a vehicle under the influence. 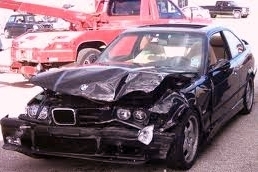 Whenever you’re involved in a car accident, it is important you hire an experience attorney to represent your rights. Insurance companies are in the business of trying to minimize their pay-outs, which is why a competent attorney is crucial. 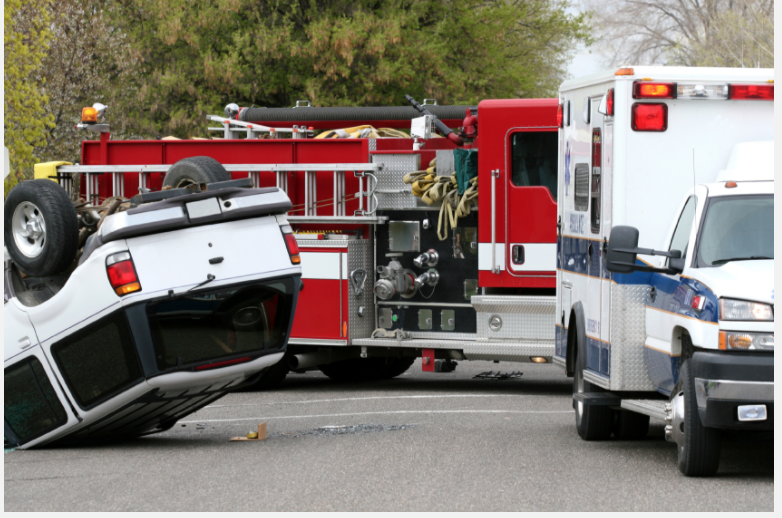 What to do immediately after an accident can sometimes be confusion. You might be asking yourself if you should contact your insurance provider to let them know you were involved in an accident. The answer is you shouldn’t call them. Why? The reason you don’t want to contact your insurance company is because they do not necessarily represent your best interest. As I mentioned above, they are more interested in minimizing their pay-outs. The rule also applies to deciding when to contact the other person’s insurance company. Whether it was the other person’s fault or you are not sure, it is important that you do not contact the insurance company. 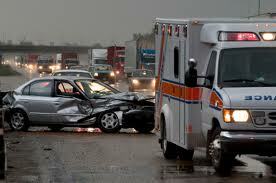 Injuries caused by a drunk driver frequently lead to civil suits. While drunk drivers can face serious criminal charges, with penalties that may include jail time and restitution, they can also face civil liability if they are sued by their victims. A civil suit for drunk driving is a separate and distinct process from any criminal proceedings a drunk driver may face. Criminal proceedings are designed to protect the public from future harm by acting as a deterrent to drunk driving, as well as to punish the drunk driver for acting in a reckless manner. A drunk driver can face criminal prosecution even if there is no accident or injury involved. A civil suit in relation to a drunk driving accident is initiated as an injury lawsuit filed by the victim of drunk driver, or in the case of death, filed by the victim’s next of kin. If you are injured by a drunk driver, a civil suit could be your only recourse when attempting to recover any lost wages, costs of medical treatment, damaged property or other economic damages. Depending on the law of your jurisdiction, a civil suit also may offer the opportunity to recover non-economic damages such as money for suffering and pain. Whenever you’re involved in an accident in which one of the driver was driving a motorcycle, the risk of major injuries significantly increase. There might also be some complicated legal issues involved that require an experienced attorney. One recent incident that illustrates these points involves a married father of four children who was killed on his way to work. He was driving his motorcycle when he was struck by a sedan that was turning left at an intersection. The driver of the sedan appeared to have no injuries. According to police reports, it is unclear exactly what caused the accident. This could present a serious legal challenge for the family of the man killed in the accident. 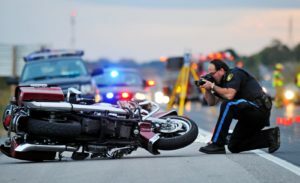 In another recent motorcycle accident, a young 18 year old man was paralyzed after his motorcycle was struck by another vehicle on the highway. The 18 year old man was immediately transferred to the nearest hospital. The driver of the other vehicle involved in the accident did not sustain any injuries. In this situation, as in the one above, it was unclear what caused the accident. Accidents involving drunk drivers can lead to serious injuries. 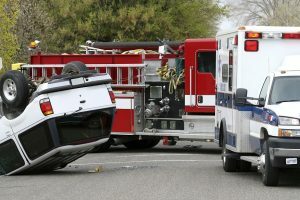 From death to permanent injuries, these accidents may involve complicated legal situations that require an experienced attorney. In one recent case a woman’s life was tragically ended when a drunk driver struck her vehicle. Police say the suspected drunk driver was driving a SUV that rear-ended a minivan with three passengers. The three passengers in the minivan were hurt and had to the hospital. One of the three passengers dies shortly after arriving at the hospital. Some bus companies are still underinsured or not insured at all. Federal law says that all bus companies have to be registered with the Federal Motor Carrier Safety administration and carry a DOT number if they are transporting passengers across state lines. Bus companies must carry a $1.5 million insurance policy if they carry less than 15 passengers and a $5 million policy if they carry more than 15 passengers. According to a new report by the U.S. Centers for Disease Control and Prevention (CDC), 25% of fatal automobile accidents are associated with drivers who were tired or fell asleep behind the wheel. There are significant and deadly risks associated with drowsy driving. In the most recent U.S. Centers for Disease Control and Prevention (CDC) Morbidity and Mortality Weekly Report (MMWR), a study demonstrated that at least one out of every 25 drivers admitted to falling asleep behind the wheel over the last month. General Motors (GM) Co., is exposed to a barrage of lawsuits in the U.S. and Canada over faulty ignition switches. According to sources, GM was served with the first wrongful-death suit involving two fatalities in a 2006 car crash. GM recalled 1.6 million vehicles in February. Megan Phillips, aged 17, was driving a 2005 Chevrolet Cobalt with two friends in Wisconsin when the ignition switch moved to the “accessory” position and cut power to the car. The Cobalt hit a telephone junction box and two trees and the air bags didn’t deploy. Phillips was seriously injured and her two passengers were killed. According to a New York Times investigation, the engineers at General Motors knew about a dangerous and faulty ignition switch back in 2009. At a meeting on May 15, 2009, they knew that data in the black boxes of Chevrolet Cobalts confirmed a potentially fatal defect existed in thousands of cars. According to legal documents, G.M. told the families of accident victims and other customers that it did not have enough evidence of any defect in their cars. In February, G.M. recalled 1.6 million Cobalts and other models, saying that if the switch was bumped or weighed down it could shut off the engine’s power and disable air bags.